Despite the growing number of foreign workers and residents in Japan, their perspectives have been largely ignored ahead of Sunday's lower house election, according to the director of a nonprofit organization that supports immigrant children and youth in the country. 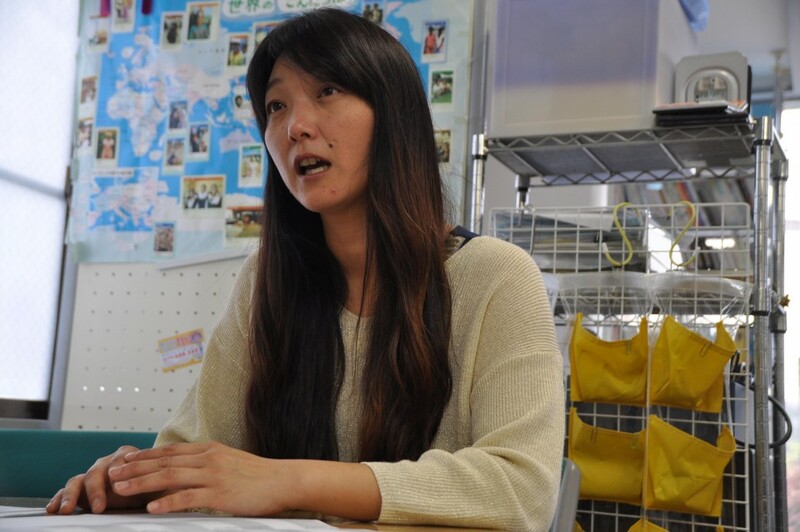 Iki Tanaka, whose youth support center has helped some 600 children and adults from 26 regions learn Japanese, says more must be done to help new arrivals integrate into the country. "I am afraid about the situation that while the number of foreign residents keeps rising, Japanese society remains unprepared to accept them. Confusion will occur if unique issues and challenges faced by foreigners are left unaddressed," Tanaka said. Faced with a declining population and graying of the labor force, Japan is certain to rely more on foreign laborers, whose number has topped 1 million for the first time last year, propelled by increases in "technical trainees" who often perform unskilled work for low wages. A record 1,083,769 foreigners were working in the country at the end of October last year, up 19.4 percent from a year earlier, labor ministry data showed. The number of registered foreigners living in Japan is also increasing in tandem with rises in foreign laborers, hitting a record 2,382,822 as of the end of last year, up 6.7 percent from a year earlier, according to the Justice Ministry. The presence of foreigners in the workplace as well as in various areas of Japanese society, including at schools and hospitals, is expected to grow. But without sufficient support from the central government, municipalities are left to deal with foreign residents on their own, through the use of volunteers and by adding a burden to teachers and other public officials, Tanaka suggests. An education ministry survey showed that students at public elementary, junior high and high schools in need of Japanese language training totaled 37,000 in 2014. Of them, 18 percent or 6,700 have not received Japanese instruction. "We need to face the reality that Japan cannot go on without foreigners' labor force," Tanaka said. "Foreigners are not just sources of labor. They and their families need to make a living in Japan and are also recipients of social services, including education and health care. Their perspectives need to be taken into account." In the context of the House of Representatives election, an issue of foreigners was raised by the newly launched Party of Hope led by Tokyo Gov. Yuriko Koike but in a very controversial manner. Shortly before the official election campaign started on Oct. 10, Koike told fleeing members of the moribund opposition Democratic Party to sign a policy agreement that included a provision that they will stand against giving foreigners living in Japan the right to vote in local elections as a condition for joining her party. That stance seemingly went against Koike's pledge that her "tolerant" party promotes "diversity" in society. The Korean Youth Association immediately released a statement rapping the party's stance, saying, it is a "narrow-minded nationalism and hampers human rights." The group has called for giving suffrage to permanent foreign residents in local elections from the 1990s, arguing that it is a matter of fact that they join in political process as members of Japanese society. In an official list of campaign pledges unveiled later, the party did not mention the issue. But Koike still left open the possibility about incorporation of denying suffrage to foreign nationals in the future. Many political observers say that she only included the clause about foreign suffrage merely to make a clear distinction between her party and liberal-minded members of the Democratic Party and was not pushing to really stir national debate over it. Aside from the issue of whether to let non-Japanese vote, no party is pushing to the fore any particular policy regarding foreign residents. In their election pledges, the Liberal Democratic Party led by Prime Minister Shinzo Abe and the Party of Hope explicitly said they will expand the intake of foreigners to make up for the labor force shortage, although they seem to be restrictive on the extent of the reception. The LDP's ruling coalition partner Komeito party and the Japanese Communist Party urged strengthening measures to help foreign children whose Japanese proficiency is insufficient adapt to Japanese education and school life. Kiyoto Tanno, professor at the Tokyo Metropolitan University, says foreigners' perspectives are not an election issue as the Japanese government only sees them as sources of labor with limited time in Japan, rather than future immigrants to the country. "The Japanese government wants a labor force but in a way that does not bring 'extra social costs,' such as their families. That's why it promotes the intake of foreign labor in the form of trainees," Tanno said. Critics say the government's skills acquisition program, under which trainees are brought to Japan, is a cover for hiring cheap labor. These workers, who are not allowed to bring their families, often return home as their contracts expire. "For the government, the major premise in accepting foreign laborers is not to do so as immigrants that would entail social costs," Tanno said. But looking ahead Tanno questions whether Japan will remain an attractive destination for labor to the trainees who currently come mainly from Vietnam and China. "For now, the trainees will come to Japan because of the economic gap but under the current wages and labor environment, their numbers are likely to decrease. A long-term perspective is really what is needed, but the country's dealings with the issue have been postponed," Tanno said. The JCP, in stark contrast with other parties, also touches on improving labor conditions such as unpaid wages so foreign residents can lead humane lives and have their rights protected.